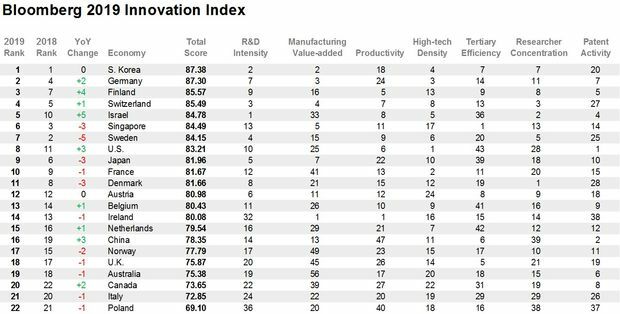 According to the index, Germany (2), Finland (3), Switzerland (4) and Sweden (7), are in the top 10 innovative economies of the world. The USA rank 8th. 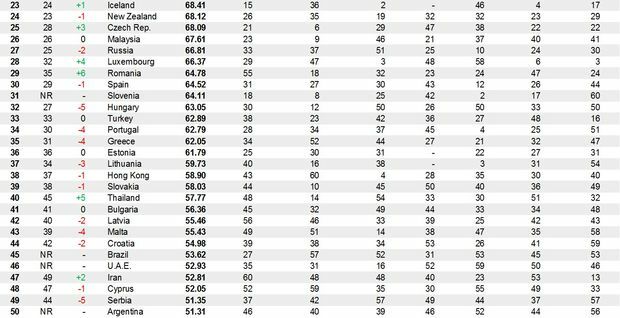 The Czech Republic ranked 25th, up three places in a year-on-year comparison, ahead of Hungary and Slovakia. Among the EU member states, Czechia ranks 14th.